Stairs are a prominent structural centrepiece of the home, so the way they look is important. A scruffy or old-fashioned staircase will make a poor first impression on visitors, and can even lower the property's value. Appearances aside, many older stairs are positively unsafe, having been designed and constructed when building regulations were less exacting than those of today. 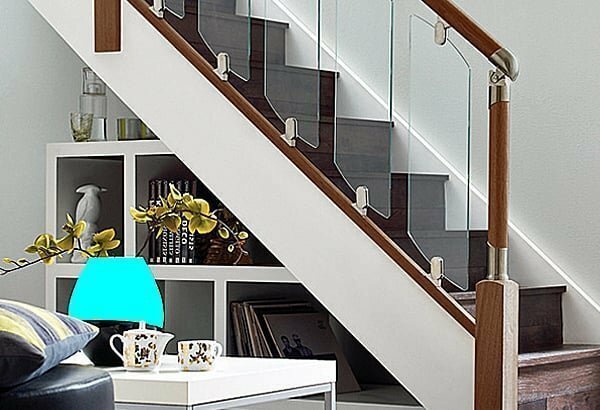 We look at five ways of bringing your staircase up to scratch without spending a fortune. 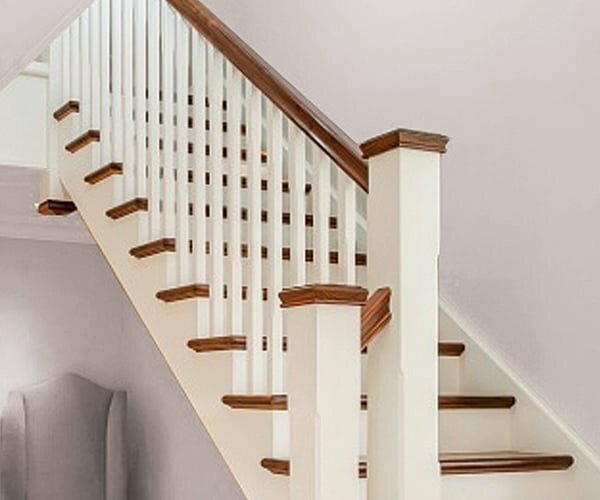 Substituting old-fashioned balusters or ranch-style timber railings for a more modern equivalent can completely change the look of your stairs without the expense and disruption of installing a complete staircase. Replacing the newel caps , handrail and baserail will complete the transformation at a fraction of the cost of new stairs. 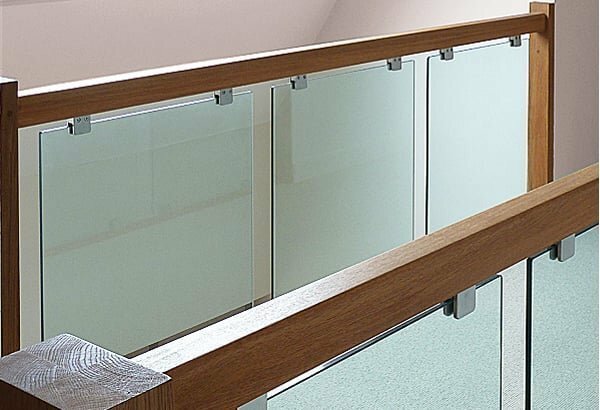 If you want something contemporary, using glass panels in place of wooden balusters will create a stylish minimalist look as well as increasing the amount of light flow within your property. For a more timeless effect that won't readily go out of fashion, consider pine or hemlock spindles , which go well with most types of decor. Idigbo, a lesser known African hardwood, is also worth thinking about as an economical alternative to oak, and sapele makes a great substitute for mahogany. Stair refurbishment is also a good opportunity to make sure that any gaps, for example the space between balusters or between risers and treads, comply with today's safety standards. 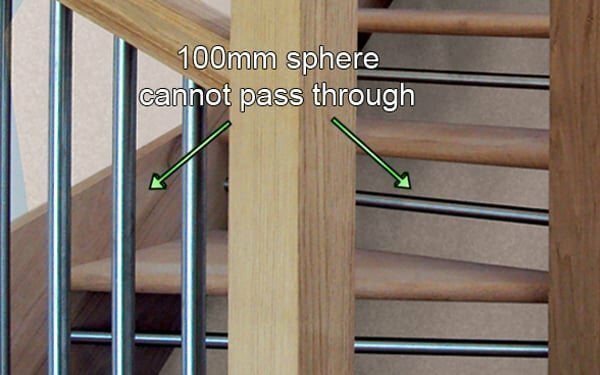 UK building regulations stipulate that no area anywhere on a staircase should be large enough for a 100mm sphere (approximately the size of a baby's head) to get through; so a gap of 99mm would be the maximum permitted. The balustrade must also be designed so that children are not encouraged to climb on it. Many older stair banisters, including the ranch-style ones with wooden horizontal railings that were so popular in the sixties and seventies, do not comply with these regulations. Installing new stair spindles at the correct distance apart (and riser bars where there are open treads) will ensure that your staircase is up to date in terms of safety as well as style. Consider getting rid of the understairs cupboard for a more modern open-plan feel. With a little imagination it might be possible to turn the space into a convenient study zone, seating area, mini library or shelving unit... the choice is yours. Of course, you'll have greater scope if the staircase happens to be situated in the living or dining room, rather than the hallway. If storage is an issue, fitting a chest of drawers, cabinet or small sideboard can be a clever way of minimising clutter while retaining a contemporary open-plan style. Depending on the layout of your home, where stairs adjoin an outside wall you might have the opportunity to knock through and create an additional window, letting in extra natural light. Today's trend for using natural timber in interior design has led many home owners to rip out their stair carpet to make the most of the wooden treads underneath. Wood is a beautifully warm material that looks good in modern and traditional homes alike, and will not easily become dated. 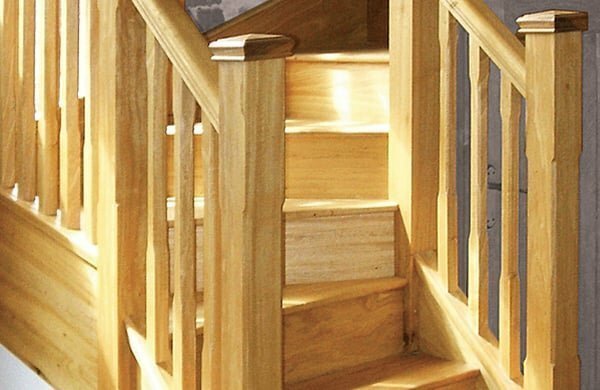 Unless you are fitting pre-finished stair parts, such as those from the Fusion or Immix ranges, you will need to treat the timber to protect it from wear and tear. Hard wax oil, wood stain , Danish oil and varnish all offer a degree of protection apart from wood stain, which will need an extra coat of varnish or wax on top. Before applying any finish, rub down all the stair parts with a fine grade sandpaper, following the grain of the timber. Clean off debris and dust with a damp cloth. Spread the treatment as evenly and thinly as possible using a clean cloth (or a brush if applying varnish), taking care to follow the direction of the grain. If you have chosen wood stain, you will need to add at least one coat of polyurethane varnish to seal the surface and provide adequate protection. Paint can bring about a wonderful transformation and allow you to personalise your stairs. You might decide to paint only the spindles and newel posts , or decorate the whole staircase banister if you're the artistic type. Either way, your stairs will gain a new lease of life. To ensure a durable and professional-looking finish, take the time to thoroughly sand down all the surfaces first to remove existing varnish or paint. Wipe everything clean with a damp cloth then use a stain-blocking primer to seal any knots in the timber. When the stair banisters are completely dry, apply at least two coats of good quality paint. Various types of finish are available, with semi-gloss being particularly popular. 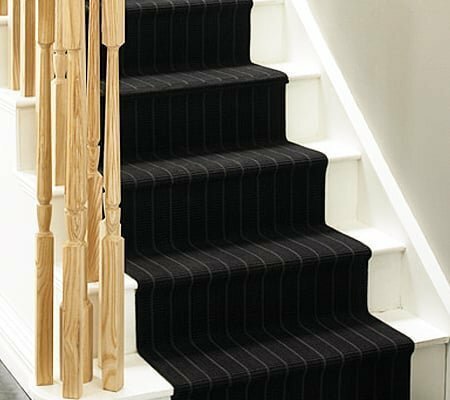 If you would like to make a feature of the stair carpet, or the treads , you could paint all the surrounding trim in an identical colour, so that the treads really stand out in contrast. Alternatively you may prefer to match up the colour of the treads and handrail for a more cohesive look. While painting treads is a reasonably straightforward job, spindles can be tricky, especially if they are fluted or twisted. A paint sprayer will greatly speed up the task and help you achieve a smooth, even finish. If there are a lot of staircase spindles to tackle, you might want to consider hiring a spray gun for a day. New carpet can work wonders for a tired staircase, and is usually the only realistic option for home owners whose stairs are manufactured from plywood, MDF or concrete. As there is an enormous range of colours and designs to choose from, you can use carpet to make a striking statement.If your stairs are in good condition, you could lay a runner down the centre and varnish or paint the visible sections of tread on either side. A cheap floor covering will always prove a false economy in high-traffic parts of the house. Invest in a durable carpet, ideally in a ratio of 80% wool to 20% nylon, and check it is designed for use on stairs. Choose good quality, thick underlay and install the carpet so that the direction of the pile is running down the stairs. Avoid any shiny or loop-pile carpets as they may be slippery. One way of keeping costs down is to join together several carpet remnants. This will work out far cheaper than a full roll, and you may be able to afford a better, more durable specification - always a bonus for such a high-traffic part of the house.